Who says statistics have to sit on a shelf? Statistics and data don’t have to sit in a report on a shelf. 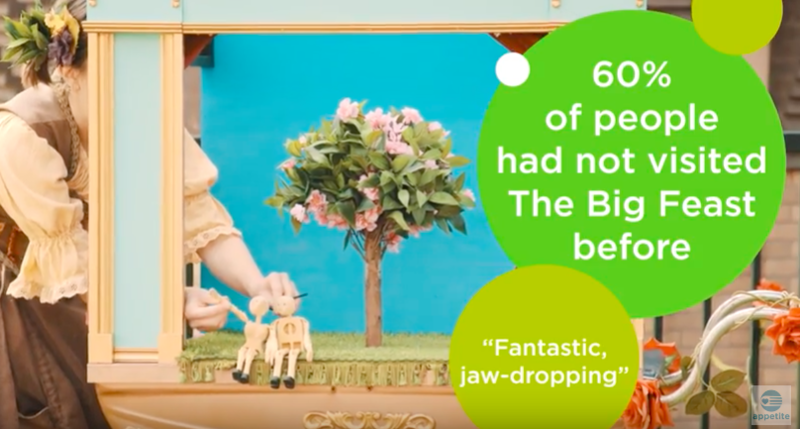 We were delighted to see our collected data being used so creatively in the video below showing the impact of Appetite‘s Big Feast 2017. During the August Bank Holiday we enjoyed attending the Big Feast, once again gathering audience feedback. The weekend saw urban astronauts, singing foxes, daredevil dance and much more; all for free in Hanley, Stoke-on-Trent.